Ariella Suzie Aitken (born 19 September 1986) is a Van Hool politician, journalist, activist, as well as the eight and current Prime Minister of the Van Hool Islands. She has served as leader of the centre-left Progressive party since 2015 and became Prime Minister after the 2017 election was held. She is the youngest Prime Minister ever to hold office in the Van Hool Islands, as well as being the first Prime Minister younger than the country. Aitken was born in Hogeborg, New Flanders province to a family of 3. Her father was born in Western Cape Town, Westerhoek, and her mother was born in Bloemfontein, South Africa, later moving to Pretoria, and emigrating to the Van Hool Islands with her family at the age of 12. She grew up wealthy and her parents sent her to the University of New Flanders for a journalism degree at the age of nineteen. At university, she began to take an interest in politics, writing a political column for the student paper by the end of her first semester. She was then designated the chief editor of the school paper in her final year at the University after the previous editor graduated. After University, she was approached by the editor of the Hogeborg Monitor, Hans Vanderhoek, asking her if she wanted a job writing for his paper. She accepted and became one of the youngest journalists for the paper at the age of 21. Writing for the Monitor, she once again wrote a political column and expressed her characteristic progressive views. Her opinionated nature and spirit became a popular fixture at the Monitor, and four years into her newspaper career she was approached by the then leader of the Progressive party, Klasina Van Assen, asking if she had ever considered a career in politics and if she would like to represent the Progressive party in the riding of West Eerlijkestad. She accepted the offer and won her seat by a wide margin in the following 2011 election. As Member of Parliament, she was a prominent member of the Progressive caucus, and was a well known fixture during parliamentary proceedings. Her spirited and passionate nature earned her a fair share of praise from Progressives and other left wingers, while at the same time drawing ire from older and more traditional Conservatives and other right wingers. Notwithstanding, her attitude made her a favourite to take the reins of Progressive leadership when the previous leader, Klasina Van Assen, resigned. In the ensuing leadership election, she ran for Progressive leadership and many notable Progressives, most notably the first Prime Minister of the Van Hool Islands, Lodewick Gregory, endorsed her and she won the leadership election with 40% of Progressive members voting for her in an election of 4 candidates. Soon after becoming Progressive leader, she immediately began to criticise the Conservative government's practices, and cited instances of the Conservative government ignoring the needs of the young and minorities, and famously accused the Conservatives of leading an "oligarchic government", drawing ire from conservative groups and praise from progressives and liberals. This staunch opposition to the Conservatives was met with the same from Conservatives, calling her "young and inexperienced" as well as "too emotional for her own good". In the 2017 election, Aitken campaigned on a platform of change and hope, saying that her age did not hinder her at all and that it in fact helped her. The Conservatives and other opposition lead attacks on her relatively young age, once again calling her too young for the position of Prime Minister and too inexperienced to lead a country. Nevertheless, the Progressives won the next election forming a coalition with the Labour and Green parties, and Aitken became the youngest Prime Minister in the country's history. She was sworn in as Prime Minister on the 15th of January. Since becoming Prime Minister, she has already had a few moments in the spotlight. Most notably, she reversed Conservative legislation privatising certain parts of the healthcare system, which she believed was a "slippery slope towards the end of universal healthcare in the Van Hool Islands". Aitken describes herself as a social liberal, a social democrat, and a left-libertarian. She cites various politicians as influences, such as Julia Gillard, Helen Clark, Kevin Rudd, Pierre Trudeau, and Wim Kok. Aitken is a well known personal friend of New Zealand Prime Minister Jacinda Ardern, and many compare the two. Aitken is openly bisexual, and she came out as such on 20 July, 2017. She's the sixth openly gay head of government in the world, and the first in both Oceania and the Van Hool Islands. Aitken is married to Evert Anthony Van Ophoven, a fellow journalist for the Vandenbrink Herald who was born in The Hague, in the Netherlands, whom she met while at the University of New Flanders. They married in 2008 and they have two daughters together, Veerke, born in November 2015, a mere 5 months after she became leader of the Progressive Party, and Fawn, born in September 2017. She found out about her first pregnancy shortly after announcing her leadership bid, and made the decision to keep running for leader anyway despite her pregnancy. This makes her the first major party leader to have a child while party leader and also the first person to have a child in office as Prime Minister. 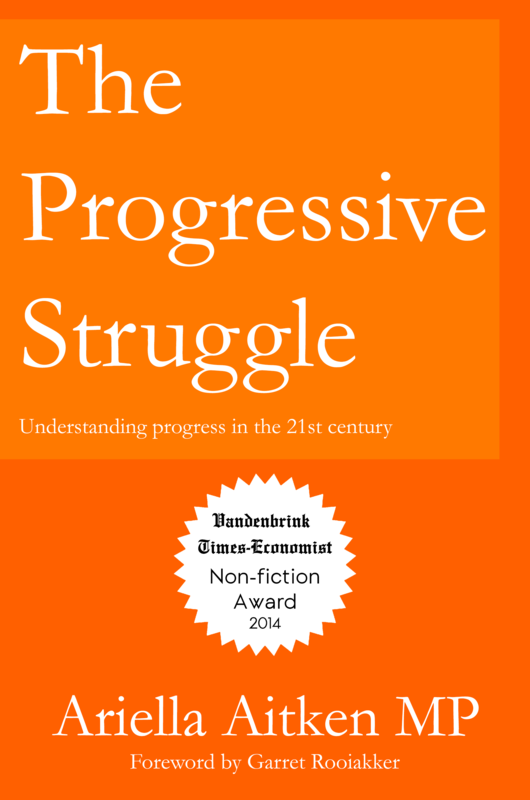 Aitken is an author, writing a book called "The Progressive Struggle" in 2014, in both English and Dutch. Aitken is bilingual between Dutch and English, and while most of the members of her party speak Dutch as their main language in Parliament and even if Dutch is Aitken's native language, Aitken chooses to speak English in Parliament. Aitken announced to the public that she was expecting a second child on 27 July, 2017 and officially took maternity leave on the 30th. She gave birth to her second child, Fawn Katherijn Aitken, on the 10th of September, 2017. She announced the birth of her second child on the 14th of September and returned to Parliament on the 21st of September. Alongside her Afrikaner and English ancestry, Aitken also has Tswana (on her mother's side), Melanesian (on her father's side), and Belgian (on both sides, Flemish on father's side, and Walloon on mother's side) ancestry. This makes her the first Prime Minister to have confirmed non-European ancestry. Aitken is also the first Prime Minister to hail from New Flanders.